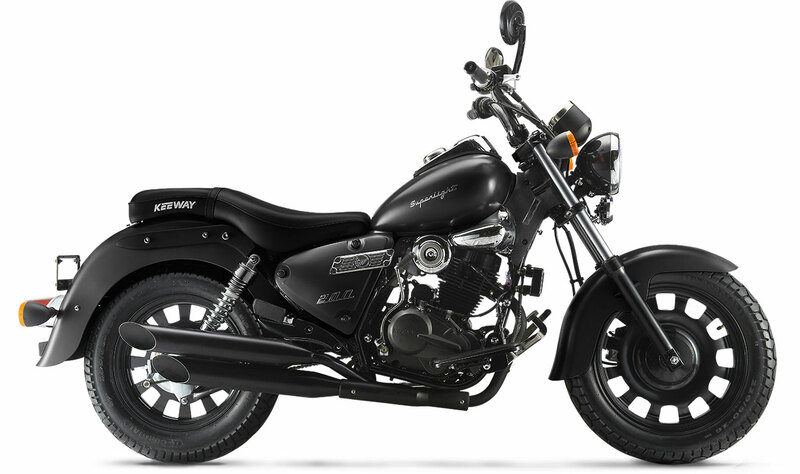 Factory customs are some of the most popular bikes on earth, and Keeway’s Superlight 200 fits the bill perfectly. 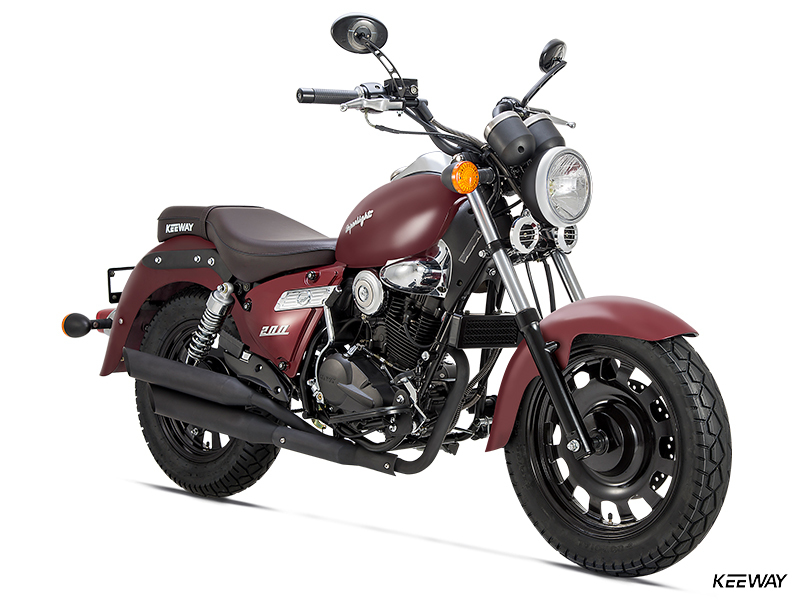 Designed to evoke the look, sound and feel of classic customs, the Superlight 200 features the fat-fender, thick-tire, custom-painted and chrome-tinged look that style-conscious riders love. 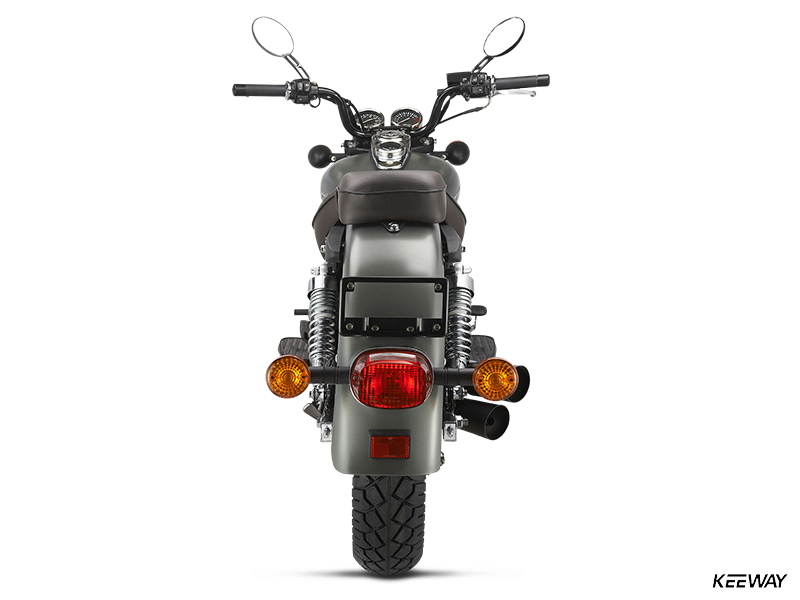 It’s fuel-efficient, around-town transportation you’ll be happy to be seen on, too. 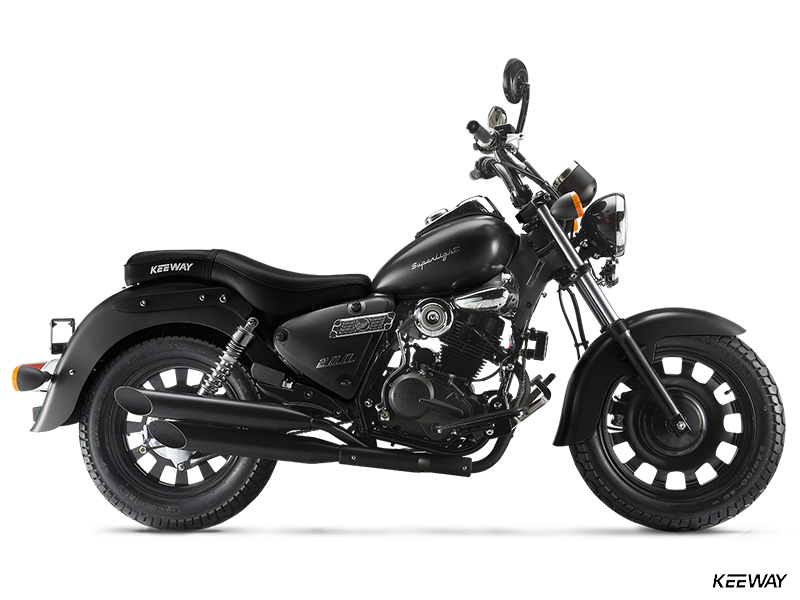 The Superlight’s engine helps accentuate the look, with a blacked-out look and traditional cooling fins. 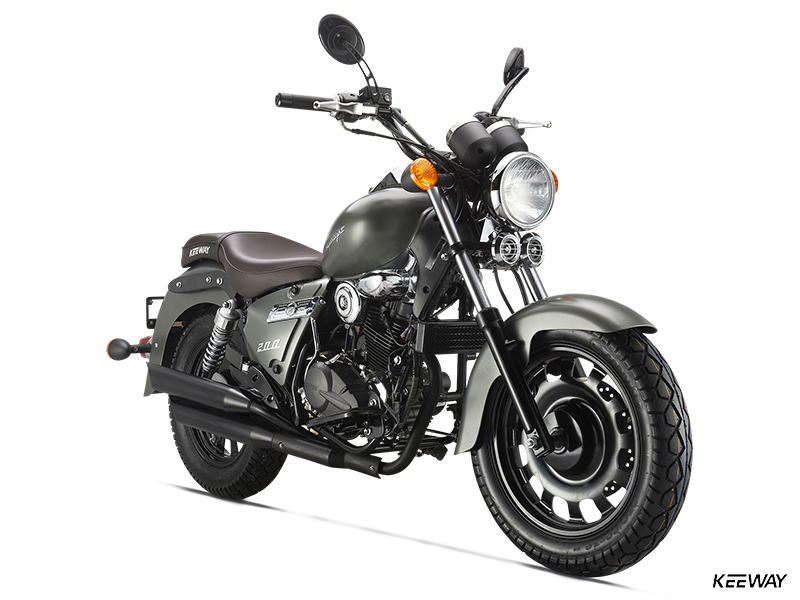 The 197cc four-stroke single is oil-cooled for durability and offers a perfect blend of smooth power. 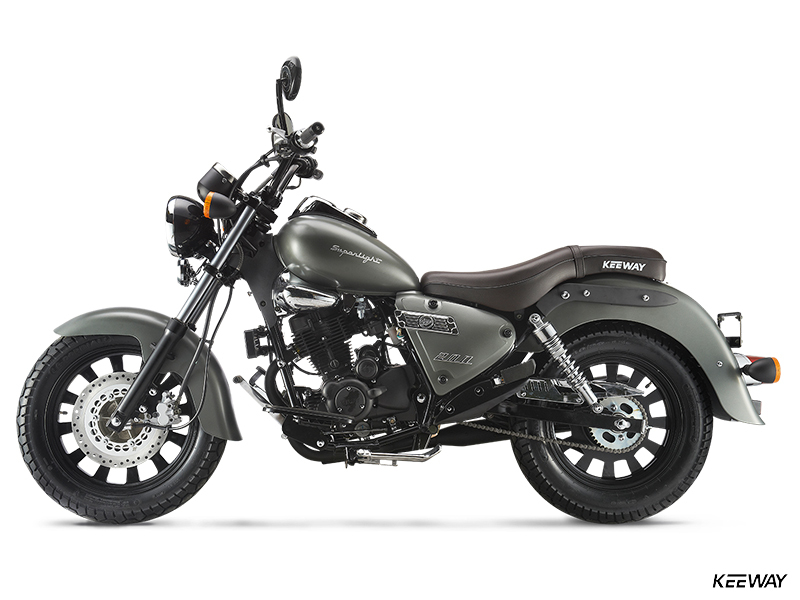 There’s also electronic ignition, electric and kick starting, a disc brake up front, fat and grippy tires mounted on slice-cut wheels, slash-cut mufflers, and optional accessories such as a windscreen and saddlebags. 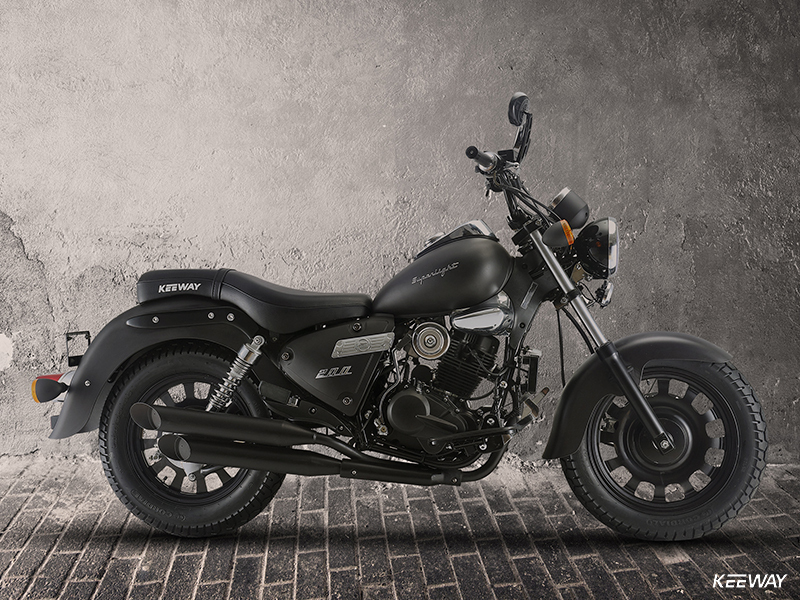 With looks, performance and affordability like this, how can you go wrong? 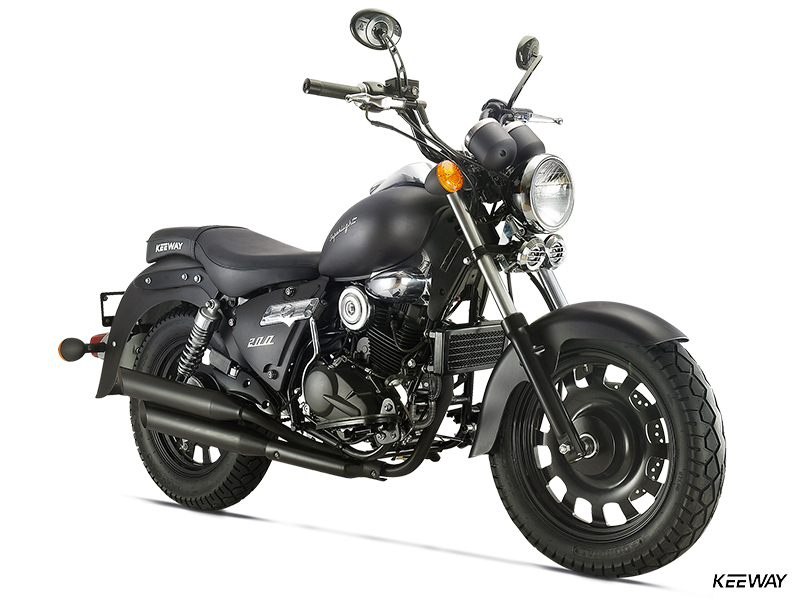 The Superlight 200s oil-cooled four-stroke single-cylinder engine is smooth and powerful enough to whisk its rider to over 100 kph. It’s durable for the long-haul, too. 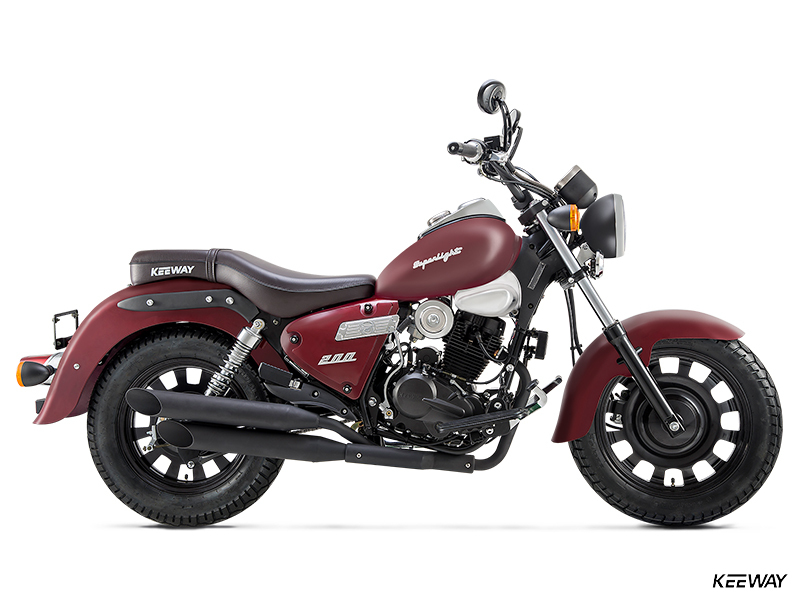 Classic, custom-shaped fuel tank, fenders, instruments, headlight nacelle and saddle give the Superlight 200 a big-bike, classic custom look. 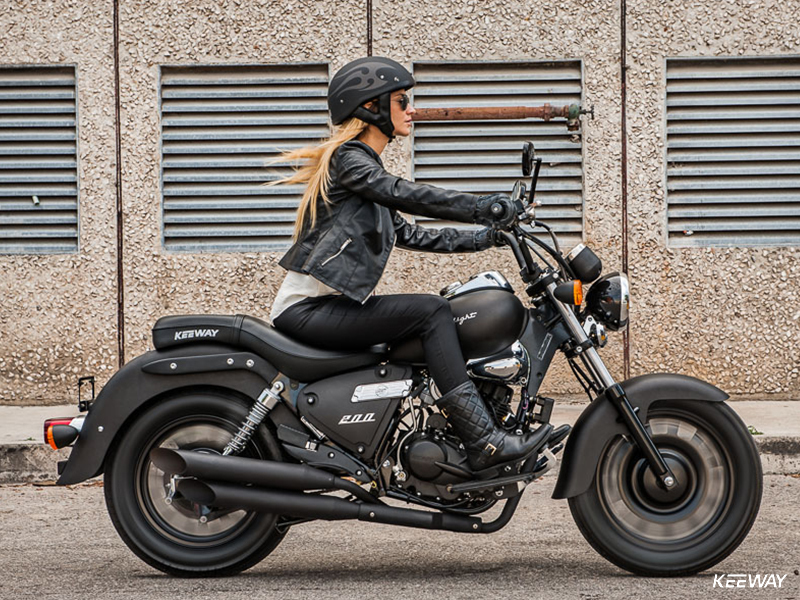 It’s a bike you’ll love to be seen on. Fat tires on 16-inch (front) and 15-inch (rear) custom-look blacked-out wheels give the Superlight 200 a powerful, substantial look, and also offer significant traction. 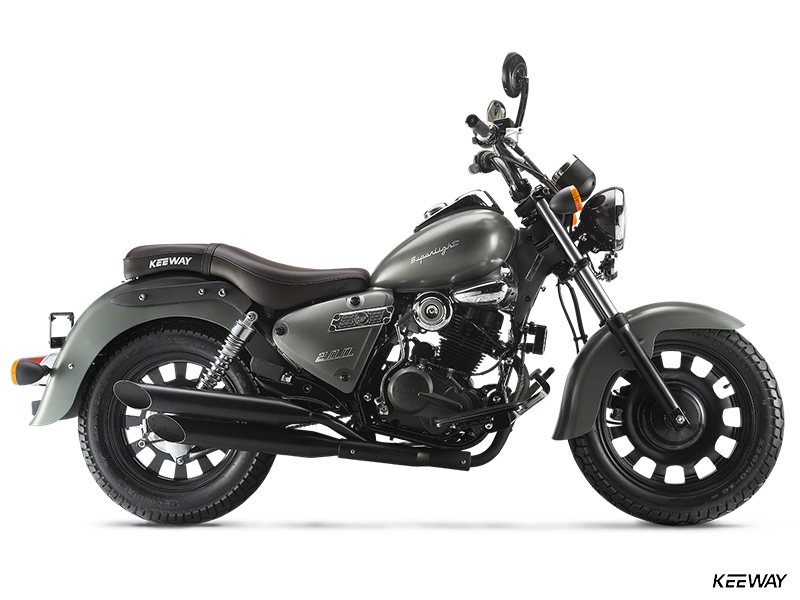 The high-n-wide handlebar, scooped saddle and forward-set floorboards offer Superlight 200 rides a laid-back, comfortable riding position, good for short or long trips.